Samsung is the tech giant and it has released the latest smart phone, Galaxy S8 this month. It is said that this smart phone does not have exploded batteries, as were provided in its predecessor but it has its own issue. 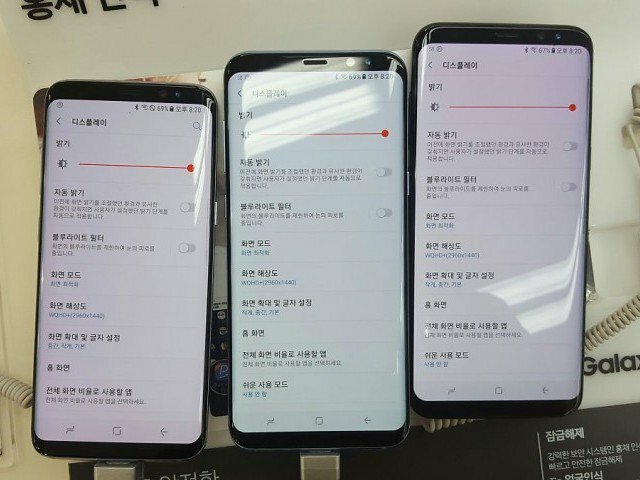 There were some of the owners of Galaxy S8, who complained for reddish tint on its display. The screen of the handset does not improve even adjusting the red color to its lowest setting. Samsung has confirmed that it will roll out the software updates to settle the red screen issue. There are some of the complaints of the red tinted screen and new upgrade of the software is done for all Galaxy S8 clients in the next week. The representative of the company sent the announcement to all about Samsung Service Centers and said that there would be additional update to make the color revisions at the end of April. This update is expected next week and it will keep expanding of the color range and Galaxy S8 users can adjust the red color to the lower level. The company has down played the issue and they put blame on their unsatisfied customers rather than accepting this mistake and put blame on their phone itself. Now the company said that they will upgrade the software for some of the unsatisfied customers but there is not problem in the smart phone.